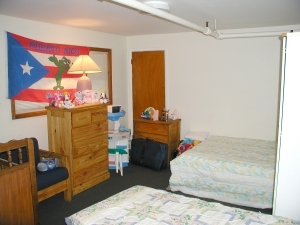 Mark's Place is a transitional residence for HIV positive persons with an AIDS specific diagnosis. The program is designed to facilitate advancement to permanent and independent housing within a limit of one year's time. Currently located at Community Missions' main facility in Niagara Falls, Mark's Place can service up to four residents at one time. Last year, Mark's Place provided 98 nights of shelter to those in need. Referrals - please call 716-285-3403. Referrals can be initiated by self, family, treatment team, clergy, or any community agency.